Finished a CG chick just in time for Easter! 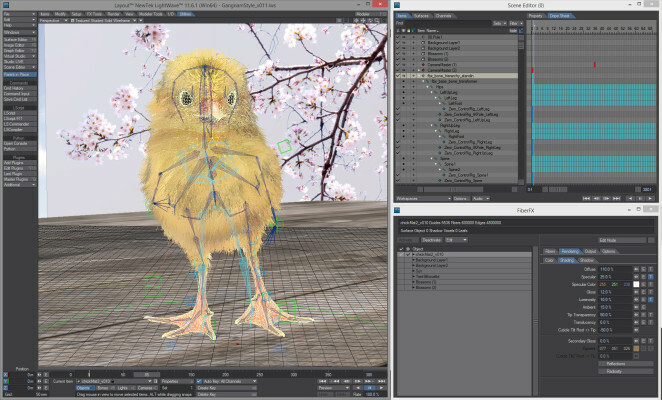 Using Lightwave 3D to build the chick and environment and Nevron Motion’s retargeting tool to transform humanoid motion capture dances to the frame of a little chick. Dancing include ‘The Moonwalk’, ‘Hammer Time’ and even ‘Gangnam Style’ It was a mighty fun project and you can create your own dance on the website.